My mom’s somewhat of a scarf addict so whenever I visit home, there’s never a shortage of vintage scarves to accessorize with. 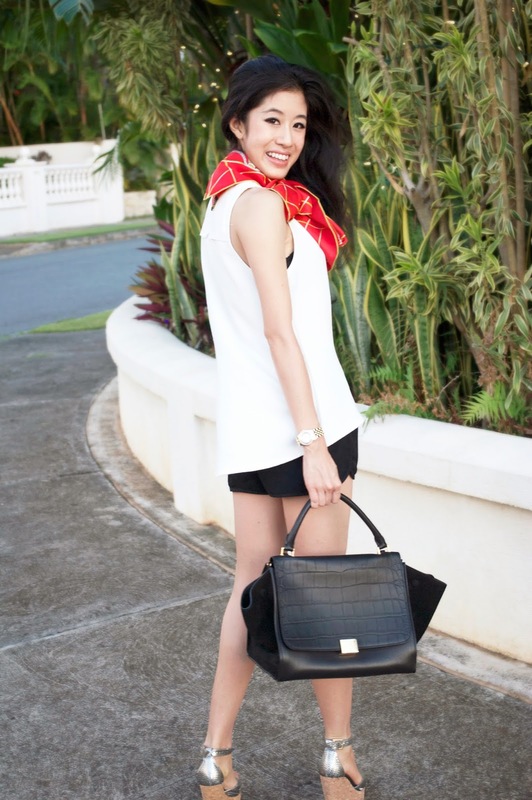 For a casual dinner in Waikiki, I gravitated towards this gorgeous red silk scarf to brighten my simple outfit. It paired perfectly with my go to Trina Turk pieces—the Banning Top and Shorts. 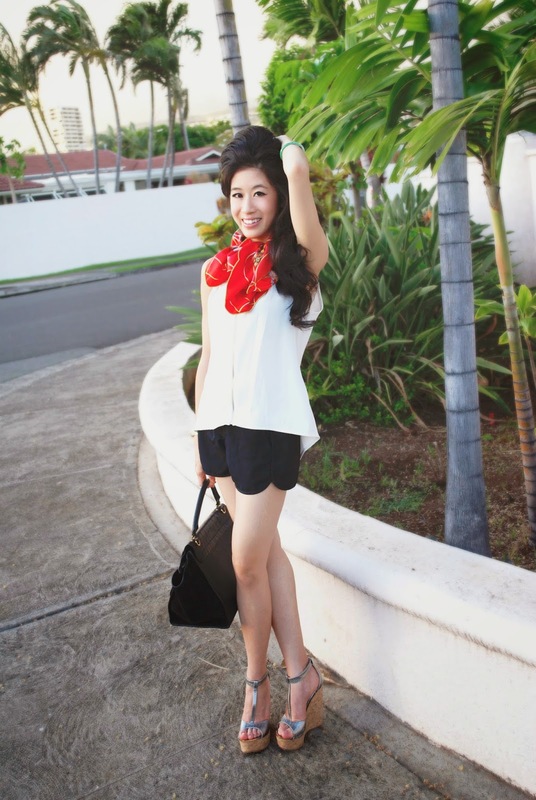 The weather’s always nice in Hawaii, and my tank and shorts ensemble with the scarf as the focus piece felt absolutely perfect—not too stuffy and formal, yet elevated and sophisticated. It’s the perfect accessory when you’re traveling or on the go, and as a statement piece, it instantly eliminates the need for additional pieces of jewelry. Oftentimes, especially now in spring, the weather is mild—not cold enough for a jacket, yet still breezy, so you don’t want to simply walk out in a tank or shorts. In situations like these, keep yourself warm with a light printed scarf that you can wrap around your neck, or wear as a shawl. If your wardrobe is mostly neutral or simple, a scarf is a simple way to add a splash of color to your wardrobe. 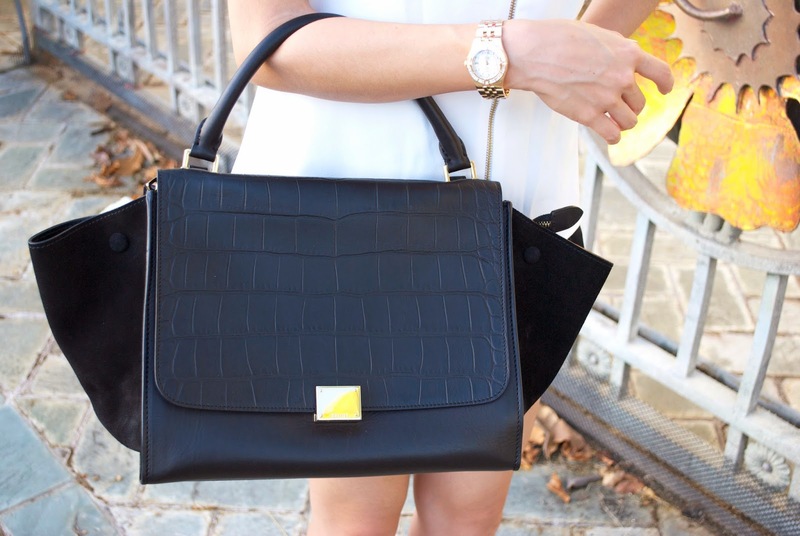 Plus…it’s one of the easiest ways you can elevate your outfit! Where to buy your scarves? 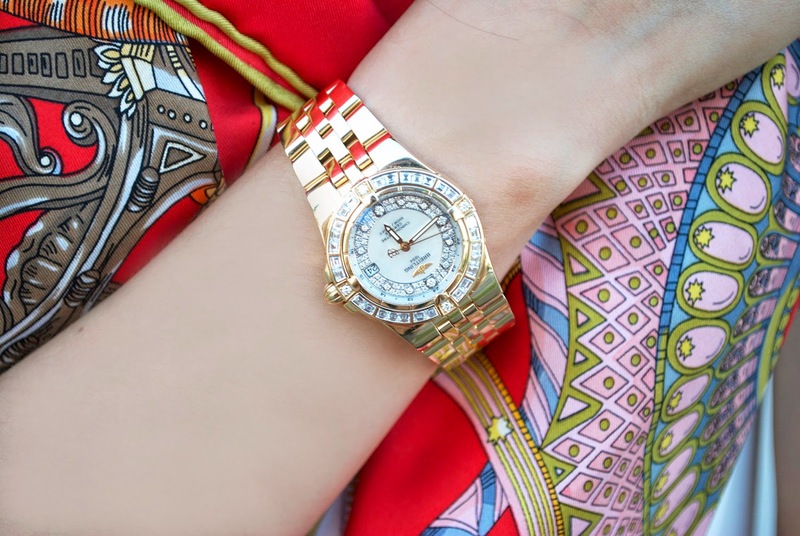 In the realm of scarves, Hermes carries the most vibrant, unique, stand out conversation starter pieces. Though they carry a heftier price tag, it’s definitely worth the purchase—like jewelry they are timeless signature works of art. Have fun incorporating scarves to your wardrobe sometime this spring!